For a full-time undergraduate student enrolled in a degree program; completed at least one full year of study; academic proficiency demonstrated by a minimum CGPA of 3.00; and outstanding contribution to the cultural and/or athletic life of Ryerson on a voluntary basis. To recognize a student whose third year academic performance is outstanding and whose understanding of their studies is significantly enriched by a grasp of such broader intellectual contexts as culture, history, science, the environment, and/or others the student might choose; must achieve a minimum 3.00 Term GPA in each of the first four semesters of the program; a minimum 3.67 CGPA at the end of fifth semester and 3.67 CGPA at the end of sixth semester; enrolled in 4 units or higher in third year; clear academic standing; planning to return to fourth year. To recognize students who have made outstanding extracurricular contributions to university life, to their school or academic department, or to Ryerson as a whole; enrolled in a full-time undergraduate degree; completed at least one full year of study at Ryerson; min. CGPA of 3.50; clear academic standing; demonstrate financial need. The applicant must be a Canadian citizen, permanent resident or protected person; be an Ontario resident; be registered as a full-time undergraduate student; have a clear academic standing; and a minimum CGPA of 3.33. Must provide evidence of an activity that they are passionate about over and above their pursuit of university level studies while maintaining academic excellence and demonstrating a positive impact on those around them. 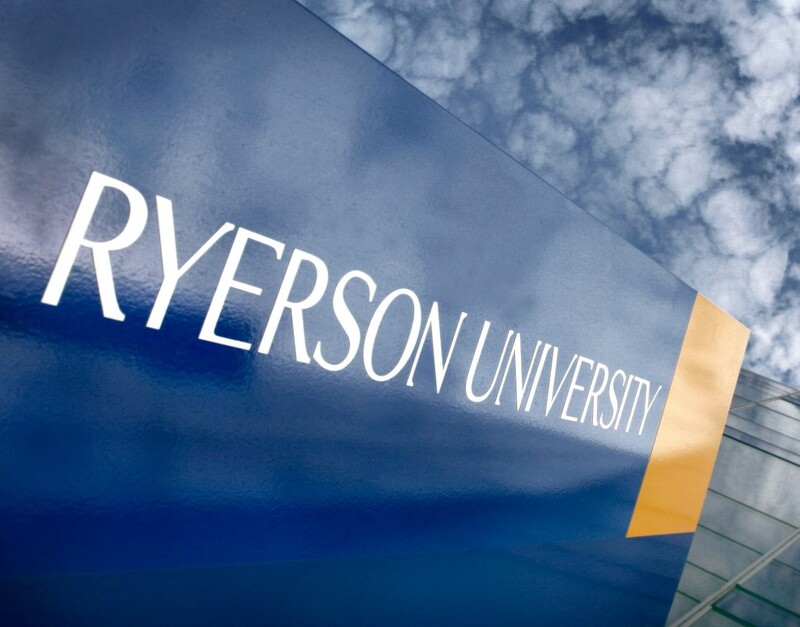 To be eligible for this award students must: a Canadian citizen, a permanent resident or a protected person; be an Ontario resident; demonstrate financial need; be officially enrolled in a full-time undergraduate degree program; have a minimum CGPA of 2.00 or better and a clear academic standing; must demonstrate an interest and commitment to furthering and enhancing Ryerson’s relationship with the external community. May be self-nominated or be nominated by faculty with a letter of support describing how the student meets the criteria. To be eligible for this award students must be enrolled as a full-time undergraduate student, have completed at least one full year of study, have a minimum 3.00 CGPA and a clear academic standing, demonstrate financial need; have made contributions at Ryerson University and/or the community at large in activities in support of social justice and/or equity. To be eligible for this award, a student must be a full-time student in second, third or fourth year of any program at Ryerson University, must achieve a GPA of 2.50 or higher, must demonstrate financial need, must submit a maximum 500 word statement highlighting their sustained involvement and/or dedication to the Ryerson University community and why it is important to them. To be eligible for this award students must be enrolled as a full-time undergraduate student in their final year of study at Ryerson, be in good academic standing, have a minimum CGPA of 3.33. Must submit an application letter/written statement responding to the following question: In your experience, as an aspiring digital entrepreneur, how do you connect with an entrepreneurial story like Delvinia’s?